A visual feast for connoisseurs of contemporary printmaking, this lavishly produced volume presents a twenty-five-year retrospective of one of America’s premier artists’ printshops and the prominent and emerging artists who have worked there. 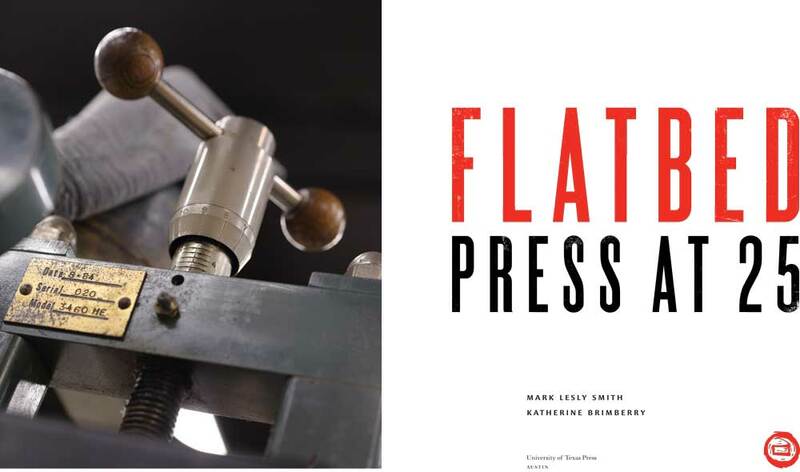 Flatbed Press, a collaborative publishing workshop in Austin, Texas, has become one of the premier artists’ printshops in America and an epicenter for the art form. 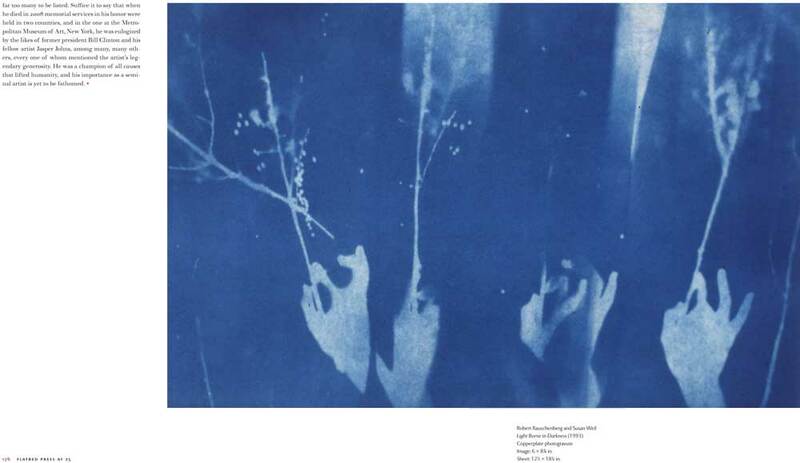 Founded in 1989 by Mark Lesly Smith and Katherine Brimberry, Flatbed provides studio spaces for visiting artists to work with the press’s master printers to create limited editions of original etchings, lithographs, woodcuts, and monotypes. 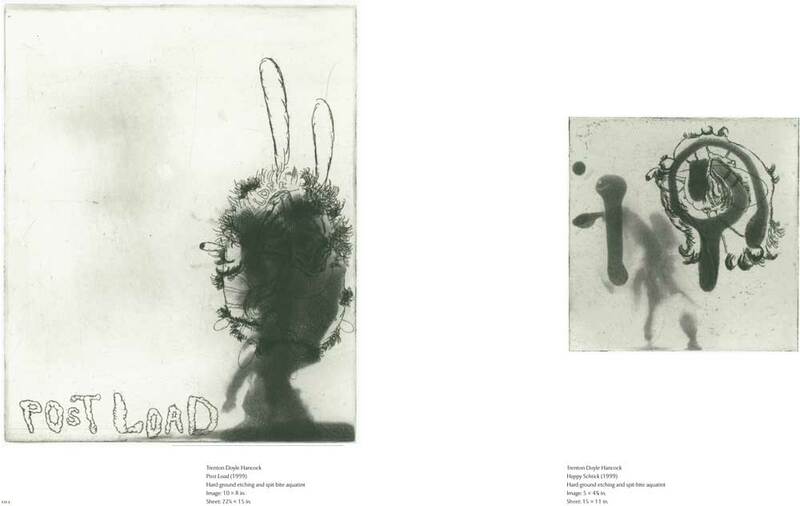 The roster of artists who have worked at Flatbed includes Robert Rauschenberg, John Alexander, Dan Rizzie, Terry Allen, Michael Ray Charles, Luis Jimenez, Julie Speed, Trenton Doyle Hancock, and James Surls. Prints produced at Flatbed have been collected by major museums—the Museum of Modern Art, the Metropolitan Art Museum, the Whitney Museum of American Art, the Museum of Fine Arts, Houston, and the Brooklyn Museum, among others. 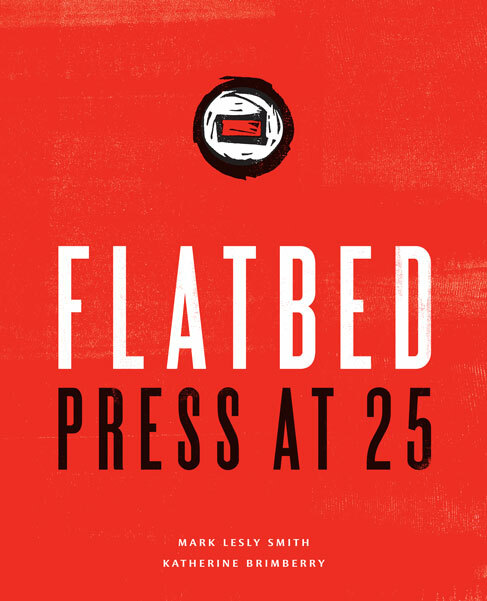 Lavishly illustrated and printed, Flatbed Press at 25 presents a quarter-century retrospective of the press’s productions. 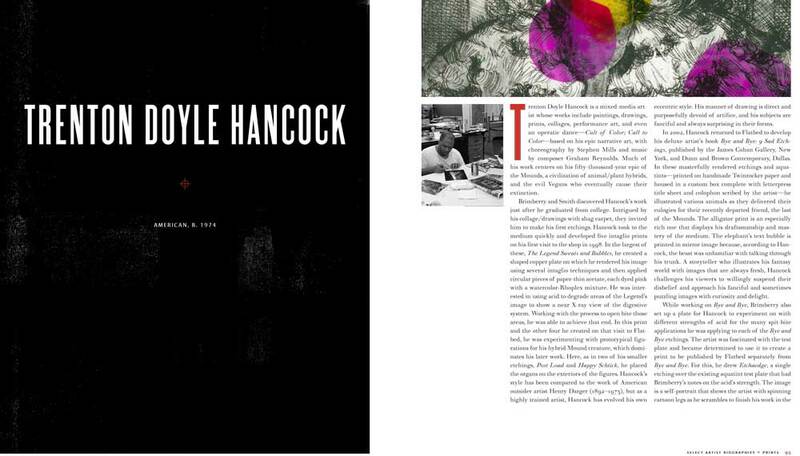 The book features the prints of thirty-five prominent artists who have collaborated with the press, each represented by full-color plates and a lively reminiscence by Smith and Brimberry that describes the process of working with the artist. Eighty additional artists are also included with a single print and documentary details. Susan Tallman’s introduction places Flatbed in a national context, defines its uniqueness, and discusses many of the outstanding artworks that have been created there. 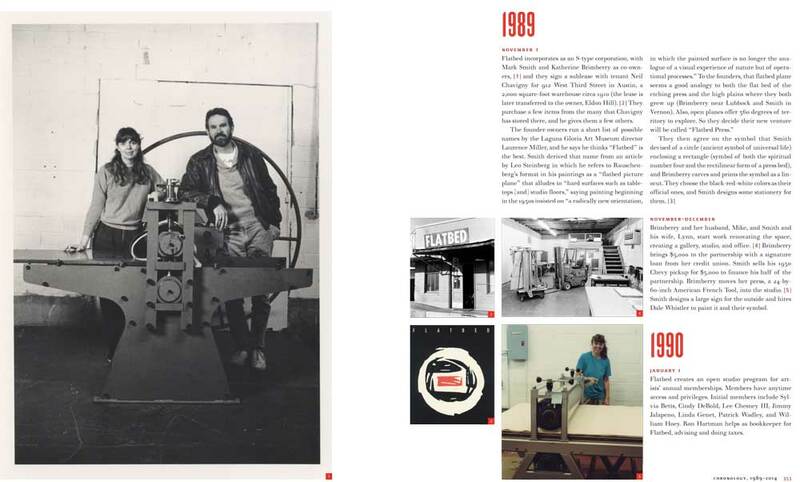 Photographs of the facilities and equipment, technical processes, and artists and printers at work, as well as a chronology and glossary, complete the volume. A longtime leader in the Austin visual arts community, Smith is a cofounder of Flatbed Press and served as its codirector and gallery curator for twenty-three years. Currently he teaches at the Herron School of Art and Design at Indiana University–Purdue University and serves as a consultant to private and corporate art collectors. Now the sole owner and director of Flatbed Press, Brimberry cofounded the press and has served as a codirector, director, and master printer over the past twenty-five years. As master printer, she is in charge of collaborations with artists and the production of their projects. Tallman is the editor-in-chief of Art in Print. 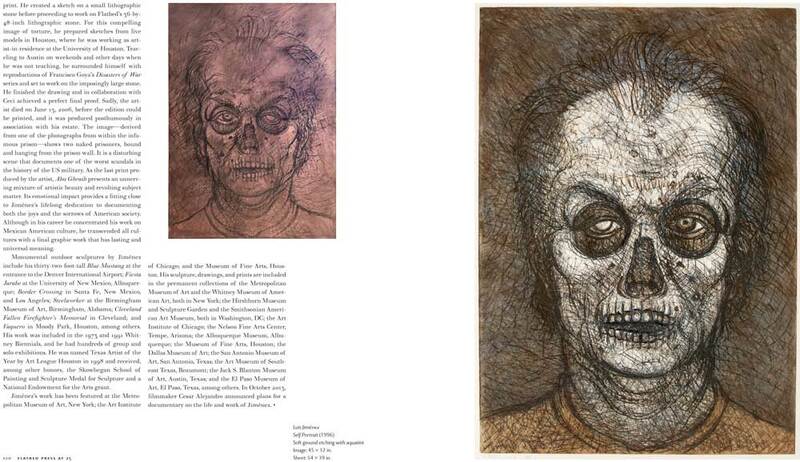 Her many publications include The Contemporary Print from Pre-Pop to Postmodern.